Here are the biggest spring announcements from Iwata and Co. The standards weren't set very high for today's Nintendo Direct. With its disappointing announcement last week that the next Legend of Zelda is getting pushed back another year, few expected the company to show up to its monthly video meeting with a lot to show. The big N showed up with a bevy of indie darlings coming later this year, a new trailer for the next Fire Emblem game, release dates for Mario Maker and Yoshi's Wooly World and more amiibo than you can shake a stick at. The April Nintendo Direct kicked off at 3 p.m. PDT with the announcement that Super Smash Bros. powerhouse Mewtwo, originally exclusive to owners who bought both the 3DS and Wii U versions of the game, would be made available for $4 on either system. Super Smash Bros. Brawl veteran, Lucas, is also slated for the roster in June, though exact release date is TBD. Nintendo also announced three more waves of amiibo: Robin, Lucina, Wario, Pac-Man, Ness, and Charizard are coming in May, Dark Pitt and Palutena in June, and Olimar, Bowser Jr, Dr. Mario, Zero Suit Samus, and Ganondorf - a.k.a. wave six - that are coming out in September. Fans of retro games will be pleased to know that both Nintendo 64 and original DS games are finally coming to Wii U, starting with Super Mario 64 and Yoshi's Island DS, respectively, and will either cost $9.99 for first-time buyers or $2 to transfer them from a Wii account to a Wii U. It seems Mario Maker will release in time for our favorite plumber's 30th anniversary by coming in September, and will be followed closely by Yoshi's Wooly World, which got a release date of fall 2015. Nintendo also announced two new streetpass games, Ultimate Angler and Battleground Z and Animal Crossing: Happy Home Designer, an add on for the titular Animal Crossing New Leaf and be the first game to use NFC-enabled cards. More important than the add-on content for Animal Crossing, however, was the announcement that the Nintendo 3DS NFC reader officially got a North American release date of fall 2015. 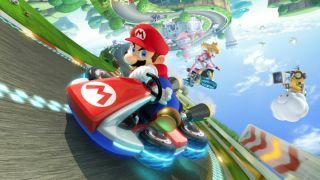 All-in-all it seems that this autumn will be one of the biggest yet for Nintendo, though E3 2015 will surely confirm this hunch one way or another.